This enigmatic species can grow to epic proportions on the continent. 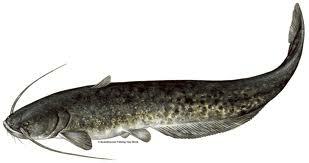 In fact many hundreds of British anglers travel to the likes of the River Ebro in Spain to catch strains of catfish that weigh in excess of 100lb. They are quite few and far between in Britain. They aren't an indigenous species so they are bought in and stocked into lakes where they thrive. There are quite a few 'specimen-style' venues that stock catfish within their vast carp lakes. These would be the best venues to try for a chance of catching an impressive British catfish.